Audi Performance and Racing (APR), the indisputably largest name in the American Volkswagen tuning scene, is racing towards Las Vegas with its latest diabolical creation. APR announced Tuesday that it has brought a purpose-built, 536 horsepower track car based on the top-of-the-line 2018 Volkswagen Golf R to this year's running of the annual SEMA show, dubbed the VW Golf RLMS. APR took VW's 292 horsepower, all-wheel-drive variant of the Golf hatchback and cranked the dial up three notches, adding its top-tier Stage 3 engine upgrade to the Golf R's 2.0-liter, four-cylinder heart. In addition to APR's bread and butter software upgrade to the R's engine control unit, the car received a twin-scroll Borg Warner turbocharger, better fuel injectors, an uprated fuel pump, and an APR carbon fiber intake, intercooler, downpipe, and exhaust. The result is a 244-horsepower increase to 536 horses, plus an additional 190 pound-feet of torque. The wide-mouthed body kit isn't just for show either. 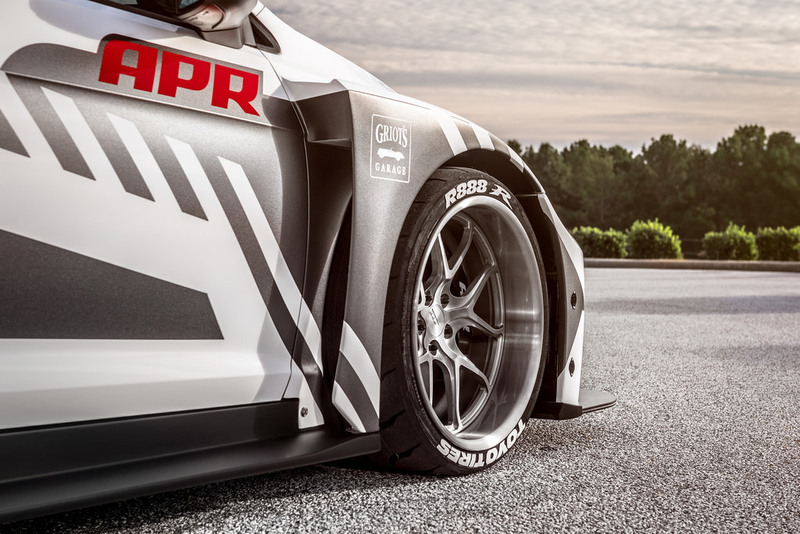 Inspired by the Volkswagen TCR and other Touring Car Racing bodies, the RLMS' shell has been widened substantially to accommodate a massive front splitter, adjustable rear wing, and wider APR two-piece wheels with Toyo tires. Other racing modifications include APR's Roll-Control Stabilizer Bars and Roll-Control Racing Coilover System, plus a custom roll cage and racing bucket seats. 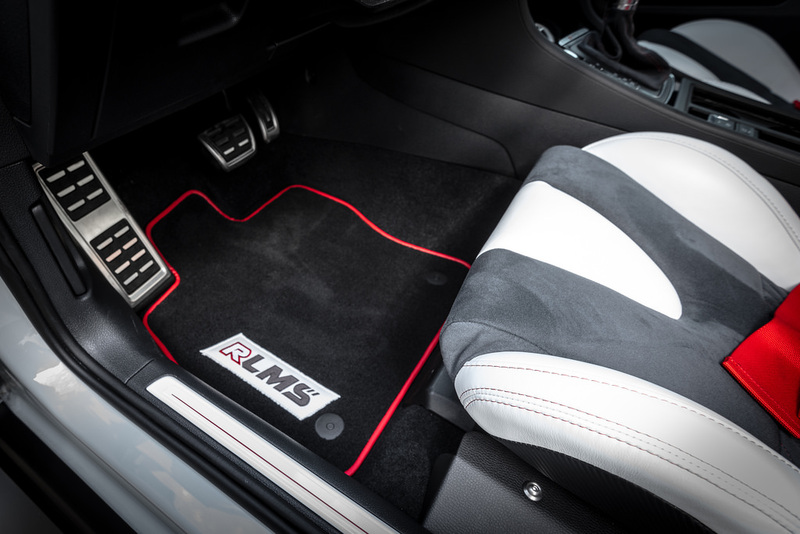 APR says that with all these goodies installed, the RLMS will tackle the quarter mile in 10 seconds and hit 140 mph 15 seconds quicker than a Golf R straight off the showroom floor. 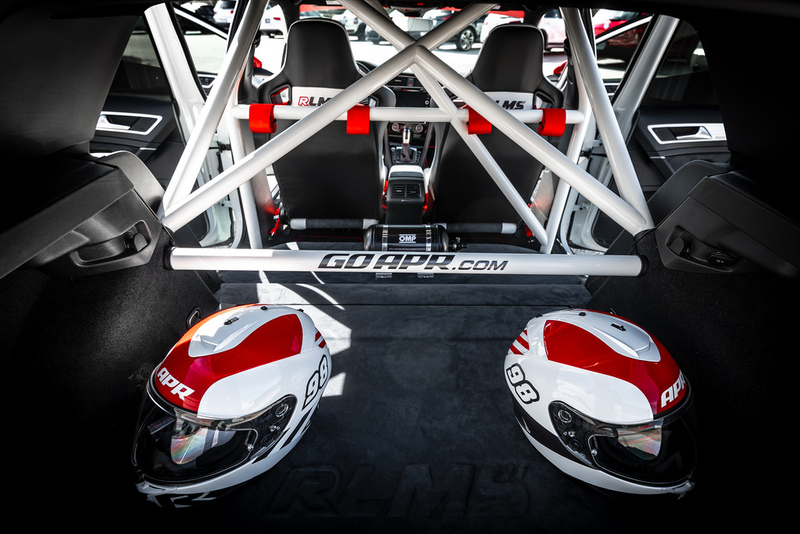 The Golf RLMS will be on display at APR's booth at the 2018 SEMA show at the Las Vegas Convention Center, which runs from Oct. 30 to Nov. 2. After SEMA concludes, APR plans to tour race tracks around the United States to see what the RLMS can really do on the nation's hottest circuits. We didn't think the company would take the name "touring car" so literally but stay tuned for an RLMS appearance at a track near you.